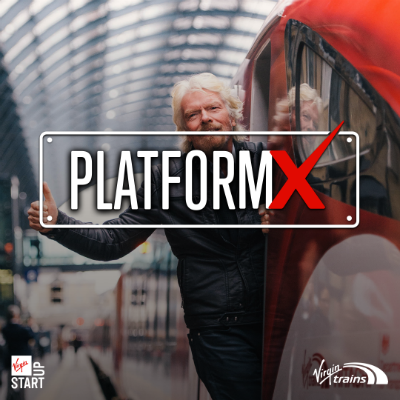 We’re excited to announce Platform-X: the startup accelerator from Virgin Trains – designed in partnership with us. Virgin Trains has set a series of key innovation challenges and we're searching for start-ups to solve them, whilst also developing their business into scale-ups over an intensive five-week period. The aim of this accelerator is to find businesses ready to scale up that can help improve the experience of train travel. The Virgin Group is always on the lookout for exciting businesses to partner or work with. Platform-X provides the chance to fast-track the collaboration process and find disruptive start-ups that align to our goals and challenges. This programme will uncover industry-changing innovations, and give talented start-ups a platform to grow and develop their products. Zero equity is taken in exchange for taking part. However, discussions are open towards the end of the programme for the right opportunity. Where we see a business opportunity together, we can offer funding in exchange for running a trial. We fast-track the procurement process to partner with start-ups that align to our goals and challenges. Build a relationship with the UK’s most recognised brand famous for fostering innovation. We know that progress relies on collaboration. Challenge 1: Improving the “End-to-End” journeys of passengers – Providing solutions that will transform the rail journeys of Virgin Trains customers; improving the travelling experience from start to finish. From existing solutions that are transforming the customer experience and novel innovations that could be applied to the rail industry. Pitch to Virgin Trains senior management team, who will select 8 finalists to take part in the programme. Possibility of long term commercial agreement.